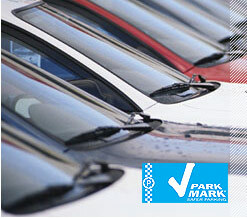 Secure parking at Gatwick Airport from Gatwick Airport Parking. Get a quote and see how much you can save. We are able to offer a selection of car parks to meet all needs when parking at Gatwick airport. The price for parking is generally reflected by the distance from the airport. Long stay parking Gatwick airport. Gatwick Meet and Greet service. As an alternative to airport parking at Gatwick many customers are taking up the option of hotel airport parking the night before their flight and making it part of their holiday and take time out to visit the capital. This is also useful if you have a long journey to Gatwick airport or your flight is very early in the morning. When you obtain a quote all the various options for the dates chosen will be shown together with a short description of the car parking facilities and the distance from the airport. All car parks serving Gatwick airport are manned 24 hour a day and most have been approved by the Police Association who operate the Safe Park. For more detailed information, just click on the hand sign, which will appear over the word " Information" on the quote page. Maps and directions to each of the car parks at Gatwick are also detailed. A confirmation will be emailed by return if you booked online or if by telephone by post. If the booking has been made by telephone at short notice, directions will be faxed or emailed. This confirmation voucher will also include directions to the car park chosen. Please ensure you take this confirmation with you, which should be presented to reception upon your arrival. Gatwick is the 2nd busiest airport in the UK behind Heathrow airport and in front of Manchester airport. Unlike Manchester and Heathrow airports, Gatwick only has one runway making it the busiest runway in the world. Passenger traffic was 32 million in 2007 is forecast to rise to 40 million over the next 10 years. Gatwick and Heathrow airport are the two major airports serving the capital and the South East although rapid growth has been seen at Luton and Stansted with the low cost airlines Easyjet and Ryanair underpinning these increases. Whilst North American traffic has seen a decrease since 9/11 excellent growth in Caribbean, Central America and the Middle East especially Dubai has resulted in a 23% passenger increase. Gatwick airport has two terminals North and South and between them serve over 200 airlines with up to 800 movements a day. Terminal Facilities Gatwick airport is the size of a small town with no less than 28000 people working directly for the airport. For more information please click on History of Gatwick Airport. Gatwick is 28 miles south of London off the M23, which links directly to the M25. In addition to superb road links no less than 900 rail services a day and over 40 express coach services serve the airport daily. In addition to public transport there are 30,000 car parking spaces although at peak times demand outstrips capacity. It is recommended that you make your Gatwick airport parking arrangements well in advance to secure a place. Which are far more reasonable than most customers' think and what better way to start your holiday off with a little bit of personal pampering. Please note that there are restrictions on children depending upon age.